Connect to the Internet and go to www.blackcat.vicensvives.net . Insert the title or part of the title of the book into our search engine. 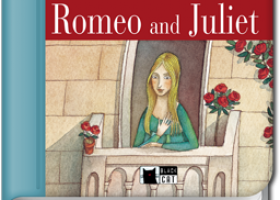 Open the page for Romeo and Juliet. Click on the Internet project link. Go down the page until you find the title of this book and click on the relevant link for this project. Connect to the Internet and go to www.blackcat.vicensvives.net. Insert the title or part of the title of the book into our search engine. Open the page for Romeo and Juliet. Click on the Internet project link. Go down the page until you find the title of this book and click on the relevant link for this project.